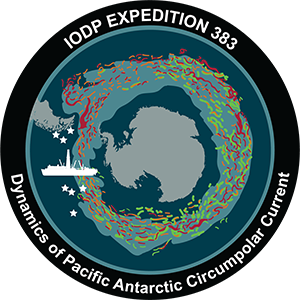 The purpose of the Dynamics of Pacific Antarctic Circumpolar Current (DYNAPACC) expedition is to better understand the interactions between the atmosphere, ocean, and frozen waters around the continent of Antarctica. Antarctica is the only continent that has an ocean current circulating completely around it. As a result, the Antarctic Circumpolar Current (ACC) is the most important current in the Southern hemisphere. It flows in a clockwise direction around Antarctica, interacting with the Atlantic, Indian, and Pacific oceans along the way. The flow of the ACC is mostly a result of strong westerly winds and, as this current moves through the Drake Passage toward the Atlantic, it gets constricted. This causes all kinds of dynamic interactions such as inducing upwelling and the formation of new water masses. The changing dynamics of the Pacific Antarctic Circumpolar Current plays a big role in regional and global climate by helping to regulate atmospheric carbon (CO2). The video below is from the Southern Ocean Carbon and Climate Observations and Modeling project (SOCCOM) and it explains the importance of the ACC. The DYNAPACC scientists are testing two major scientific hypotheses. The first is to determine if the dynamics of the ACC flowing through the Drake Passage has impacted the overturning of the ocean circulation. This hypothesis will be tested by drilling core samples at three distinct locations off the coast of Chile. The drilling locations will vary in depth between ~1000 to 3900 meters. This will enable scientists to understand how the deposition of sediment has varied as a result of changes in the ACC as far back as five million years ago. 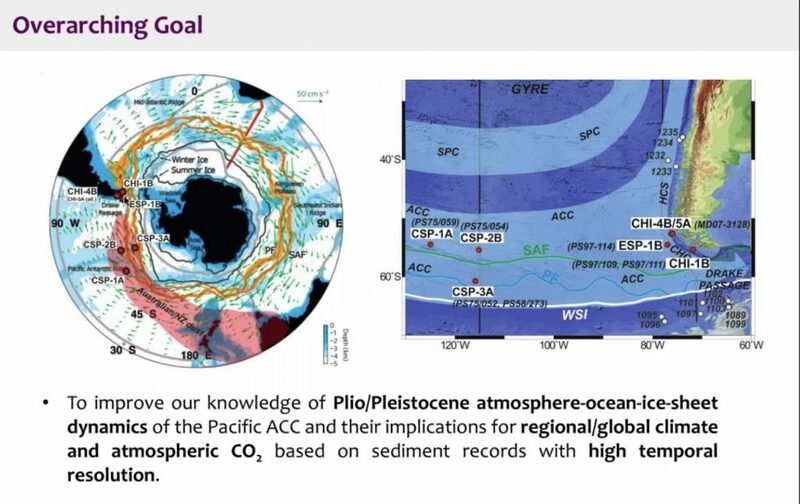 The second hypothesis being tested is that variations in the interaction of the Southern Pacific Ocean with the ACC are what determine the physical and biological characteristics of the oceanic carbon pump which helps to regulate atmospheric CO2. To test this hypothesis, Exp383 will be drilling at three locations in the Southern Pacific Ocean at the intersection of the ACC. DYNAPACC will be drilling core samples at six locations over the two-month expedition. The six drilling locations are indicated as red dots on the map above. All six locations will produce sediment cores that record the Earth’s past conditions to the highest possible stratigraphic resolution. This will enable the JR scientists to document the paleoenvironmental history of the ACC so that we can better understand the impact of our current changing climate. Dr. Sian Proctor is an analog astronaut, geoscientist, and science communicator with a passion for space exploration. She believes that when we solve issues dealing with space exploration, we also solve for issues on Earth. Dr. Proctor is a geology, sustainability, and planetary science professor at South Mountain Community College, Phoenix, Arizona. She has a B.S. in Environmental Science, an M.S. in Geology, and a Ph.D. in Science Education.